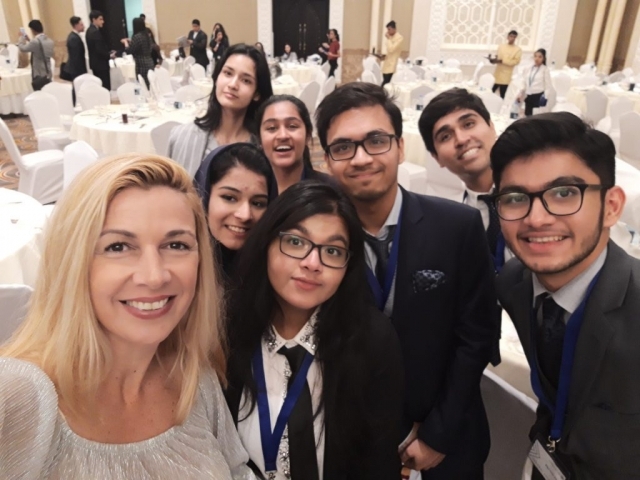 Model United Nations, or MUN, is a prestigious international organisation aimed at providing students from around the world with the real-life experience of researching, presenting, debating and voting on global issues. 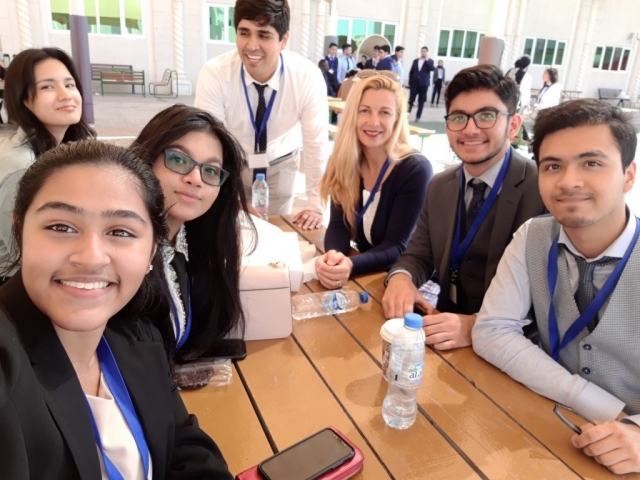 Ajman Academy was represented at WIS MUN last Thursday 7 and Friday 8 February 2019. The event built skills in critical thinking, research, public speaking, writing, problem solving and debating. Ajman Academy students proudly represented our school and successfully took part in the various councils. The delegation was led by Mr Diego and Ms Carolina, teachers from AJAC who also lead the MUN club every Wednesday after school. Congratulations to all participants. Certificates will be awarded on Tuesday during the whole school flag ceremony.